We are the “Komaki Kei ABC Academy Hula Hālau” from Mito city, Ibaraki prefecture. This will be our 17th time to perform at the Honolulu Festival. We practiced very hard for this event! Once again, we will do our best! Our goal is to cherish hula forever, appreciate the other enjoyments that we experience from dancing hula and pursue the understanding of Hawaii’s culture. We exist today because of the support and love of hula that has steadily grown from our previous circle of students. Mahalo Nui Loa. Setagaya Aloha was organized as a volunteer group in 1996 by the alumni of Setagaya Senior Citizen University’s 21st graduating class. This group was created so that we can have a place to share our friendship and live healthy lives. It started out as a group of ten and now has over 100 members. 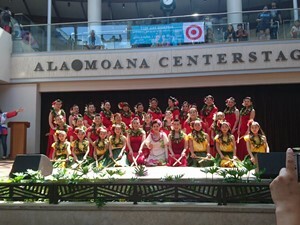 Attracted by the lovely art of hula, we volunteer to perform hula in welfare related activities in our community.Our goal is to participate in the Honolulu Festival to promote cultural exchange. We would like to share our friendship with volunteers in Hawaii and contribute to establishing a special bond between Japan and Hawaii. 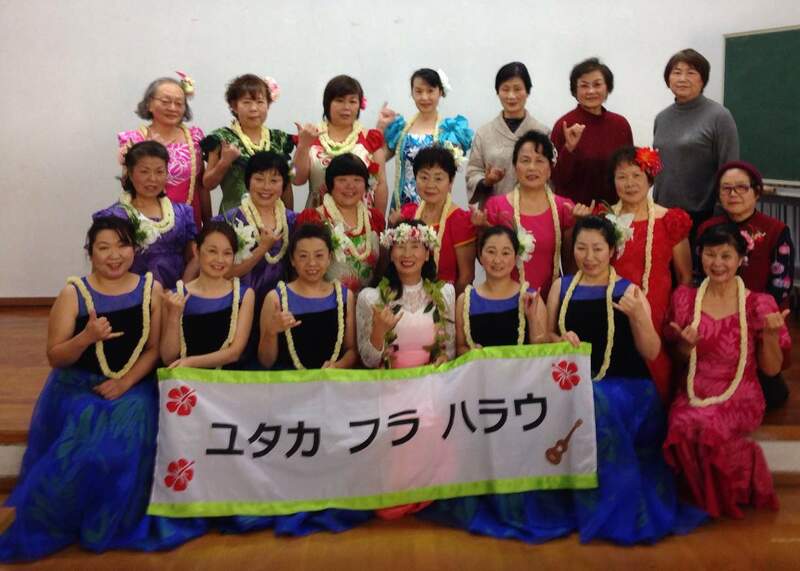 We, the Iki Iki Aloha Hula Circle, are from various areas in Toyama Prefecture. Our ages mainly range from middle to golden. According to our motto, “Always smile and keep peace in mind,” we participate in numerous volunteer activities. We promote our regions and visit community facilities based in our lovely homeland, surrounded by beautiful mountains and ocean. At a recent audition, we won the award for “Best Street Performers.” We have participated in the Honolulu Festival for 4 consecutive years.